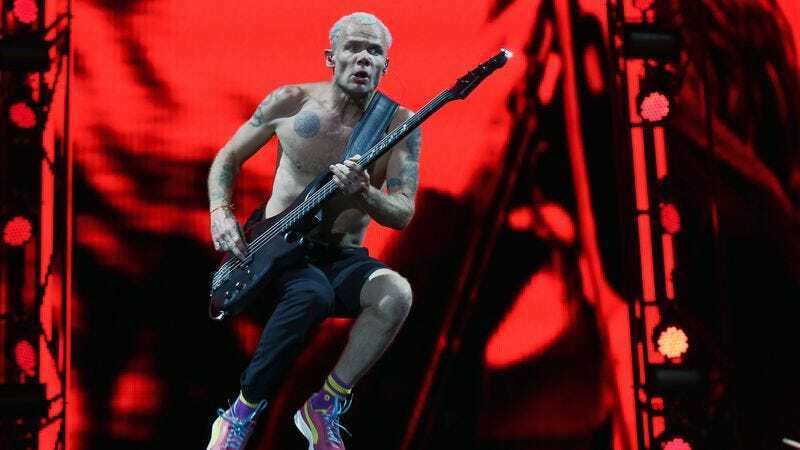 It’s Sunday, it’s a nice day outside, and we’ve realized that we’re having a hard time deciding if it’s funny or not that Flea from the Red Hot Chili Peppers is now a beekeeper. See, his name is one kind of insect, but now he has picked up a hobby that’s related to a different kind of insect, and we’re just not sure if that counts as irony. He’s worried about the world’s population of honeybees dying off, so he decided to raise some bees and help the environment. Also, his name is Flea. Is there even anything funny about that? Maybe if his name were “Fleakeeper” and he became a beekeeper, then we’d have something. Or, better yet, what if Sting became a beekeeper? That’d be Newswire gold. We could make so many jokes about Sting and bees, but we’d probably do something clever and put an ironic twist on it by not acknowledging the connection between bees and the word “sting.” Then people will say we should’ve made jokes about beestings, but then we’d be like “that’s the joke,” and everyone would laugh. Now, though, we’ve just got Flea and some bees, with nothing inherently funny about either of them. Oh well. Here’s a montage of bee-related clips from Arrested Development and some photos of Flea doing bee stuff from Instagram.